Page 283 of PowerPoint tutorials, presentation essentials, personality interviews, and PowerPoint news. Learn how to remove customizations from PowerPoint’s PCB files in PowerPoint 2016. In September last year, we carried a feature that showed how you could create transparent pattern fills in newer versions of PowerPoint. We ended that post with the hope that someone will be able to provide a VBA-based solution. Jamie Garroch of YOUpresent provided more than just a VBA solution. 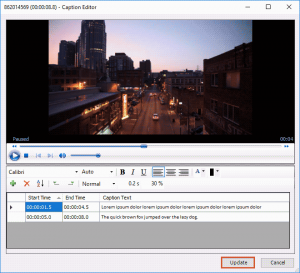 He created a free add-in that sits comfortably within your PowerPoint right-click menu. This menu option provides you with quick access to adding transparency in pattern fills for shapes! Learn more and download the add-in. PowerPoint makes amazing slides, but it is more than a program to create slides for presentations. Did you know that you can create some amazing dashboards in PowerPoint? PowerPoint’s familiar interface and intuitive tools make it an easy task to create your own dashboards quickly. Being so accessible and omnipresent, PowerPoint does provide so many benefits compared to other tools. 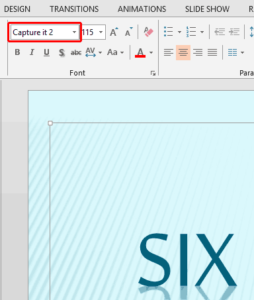 The Developer tab of the Ribbon is typically not visible within PowerPoint 2016. To enable the Developer tab, you have to visit the PowerPoint Options dialog box. So why would you want to enable a tab that’s hidden by default? That’s because the Developer tab provides options that most PowerPoint users may not be aware of, and don’t typically use. We bring you Tom Kuhlmann from Articulate, who talks about Articulate 360, a subscription offering from Articulate that contains their software applications. These include several PowerPoint add-ins such as Presenter, Engage, and Quizmaker as part of Articulate Studio, plus other apps such as Storyline, Rise, and more. Yousef Abu Ghaidah, who is based out of Qatar talks about why you should never (ever) memorize your presentation. Paul Hellman consults and speaks internationally on how to make your point fast and in this exclusive interview, he talks about his new book, You’ve Got 8 Seconds. PowerPoint 2016 for Windows users can learn about identifying whether you are running a 32-Bit or 64-Bit version of PowerPoint. PowerPoint 2013 for Windows users can learn about Share options in Backstage View. PowerPoint 2016 for Mac users can learn about Slide Show view. PowerPoint Online users can explore Reading view. 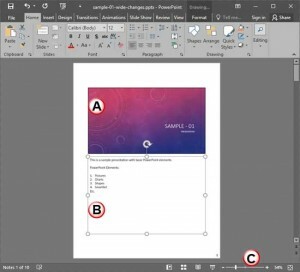 We also explore how you can edit captions within the STAMP add-in in PowerPoint 2016, 2013, and 2010 for Windows And if that wasn’t enough for this week, make sure you do not miss the quotes, press releases, and templates released in the last seven days. Edit and create new captions with the Caption Editor within the STAMP add-in for PowerPoint.